Bollywood's famed actor Ranveer Singh is all set play his dream role in his upcoming movie '83’. The actor shared the first look of Kabir Khan’s directorial in an Instagram post. The sports drama is based on India’s historic win against West Indies at the 1983 world cup. The ‘Gully Boy’ star will be seen playing former Indian skipper Kapil Dev. In the picture, Singh can be seen striking a pose with his team in the field. Recently, Singh along with his co-stars was in Dharamshala, where he was training for the upcoming movie. 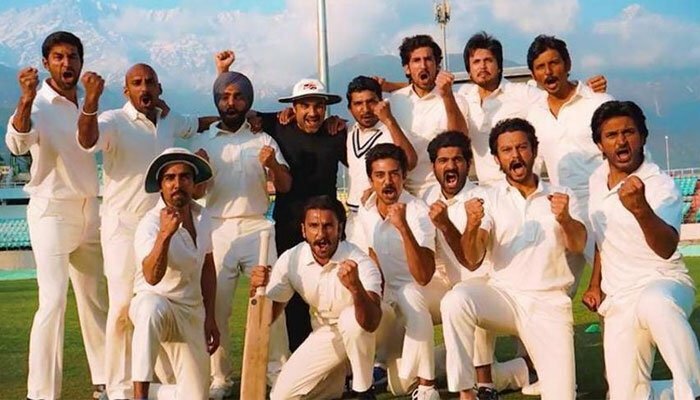 Directed by Kabir Khan, ‘83’ narrates the journey of Indian cricket team led by Kapil Dev that won the cricket World Cup 1983. Apart from Singh, ‘83’ also stars Chiragh Patil, Hardy Sandhu, Saqib Saleem, Pankaj Tripathi and Tahir Basin in key roles.